2015 will see a tipping point in favor of subscription-based journalism online. Harper’s, The New Yorker, the Financial Times, and The New York Times are proving that readers will pay for online access to worthwhile content. Publishers have come to learn, sometimes the hard way, that Facebook and Google wield an unseemly, even dangerous amount of power over their audiences. A publication can be brought to collapse with the tweak of an algorithm, as Metafilter learned last May, owing to such a tweak at Google — whereupon they instituted a subscription/donation model that appears to be working fine. Facebook now consists of a stream of advertisements interspersed with your friends’ wedding and baby photos. Why should this organization have any effect whatsoever on news, politics, or any other serious area of our culture? It should not. There is Upworthy, there is The Huffington Post, there are penny-ante aggregators of every description, flush with venture cash. Apparently Pinterest drives a substantial amount of traffic to news sites now. Considerations of search engine, advertising, and social media optimization are bound to have an increasingly detrimental effect on what the public can read. As a reader, I am very eager to pay for better managed, better edited, better looking publications. I do not care to rely on Pinterest, or Facebook, or even Google to learn what I need to know. So it is a great relief to see signs that readers, editors, and publishers are taking back the reins. 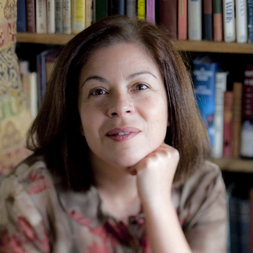 Maria Bustillos is a critic and writer in Los Angeles. Dec. 18, 2014, 3:48 a.m.